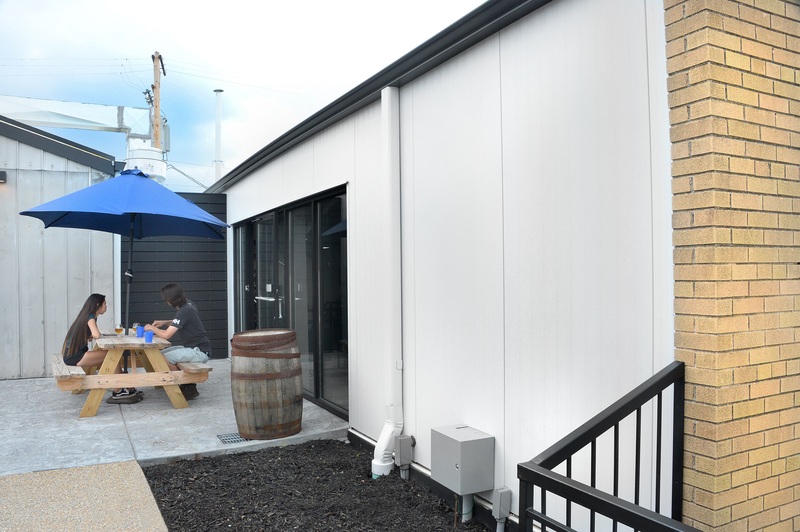 LEWISVILLE, Texas, August 9, 2018 – Alpha Brewing Company recently took its business to the next level with a new, expanded headquarters in St. Louis that features a high-performance insulated metal panel façade by Metl-Span. 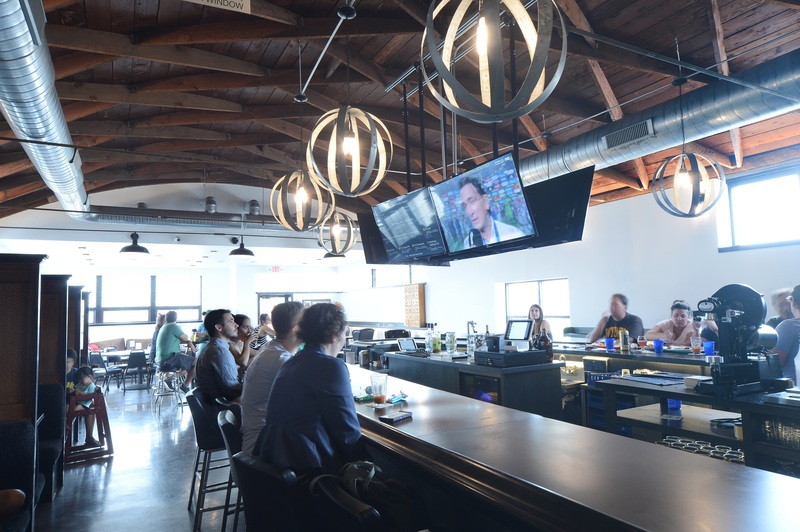 At more than 13,000 square feet, the all-inclusive facility combines a taproom and restaurant with seating for approximately 300 patrons and the manufacturing capability to produce 3,000 barrels of beer annually. Founded in 2013, the company employs a refreshing, modern take on the ancient art of beer brewing — offering its loyal customer base of “sipsters” an interactive Mug Club membership package, rare and limited brews and fast-casual Latin fare at the facility’s new kitchen, Alphateria. Alpha Brewing Company even offers live entertainment from area musicians twice a week in the tasting room and patio locales. 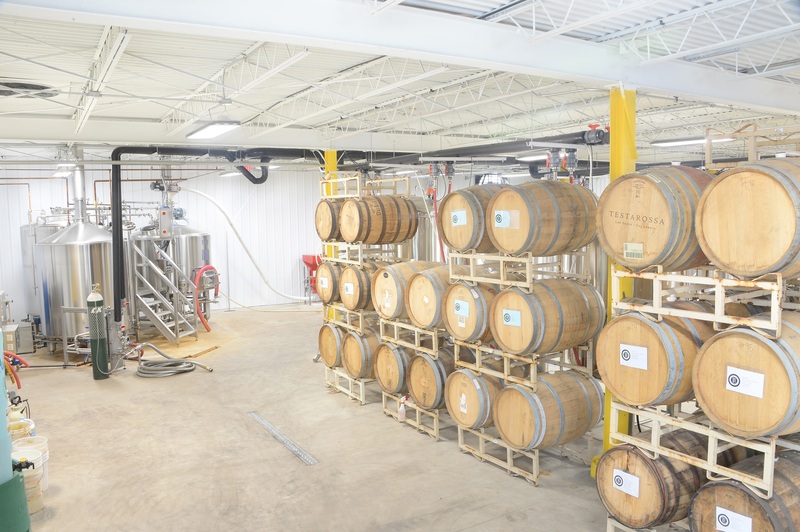 With a significant investment of $2 million, the owners of Alpha Brewing Company explored multiple cladding options to find the right material to suit their particular needs, which combined cold storage elements with a modern, all-weather building envelope. Veteran insulated metal panel specifiers, Dadoworks weighed the cladding options with their client. Dadoworks specified 3,000 square feet of Metl-Span 4-inch CF42 Light Mesa insulated metal panels for the facility’s walk-in coolers. An additional 3,000 square feet of Metl-Span insulated metal panels in the 2-inch thickness were implemented as the brewery’s exterior cladding. The design team relied on two shades of white, Polar White and Igloo White, in a siliconized polyester coating for a clean exterior and interior aesthetic. “The 2-inch panels were used for exterior walls and the 4-inch panels were used on the interior of the buildings for walk-in cooler walls and ceilings,” explained installer Brad Langeneckert, president of Langeneckert Homes, Valley Park, Mo. Metl-Span panels achieve high R-values in a lightweight system with minimal thickness as compared to other insulation methods. Ideal for both cold storage or commercial industrial applications, the 4-inch CF Light Mesa profile offers an exceptional R-value of 30.86. With factory foamed-in-place thermal insulation and thermal breaks between panel face and liner, the product keeps internal temperatures cool regardless of external conditions. “We found that the insulated metal panels were the perfect fit for a high-humidity moisture environment,” said Davidson. Metl-Span insulated metal panels also offer a simple and easy installation process, thanks to the product’s single-component construction. Insulated metal panels minimize construction coordination and provide faster close-in for interior trades. 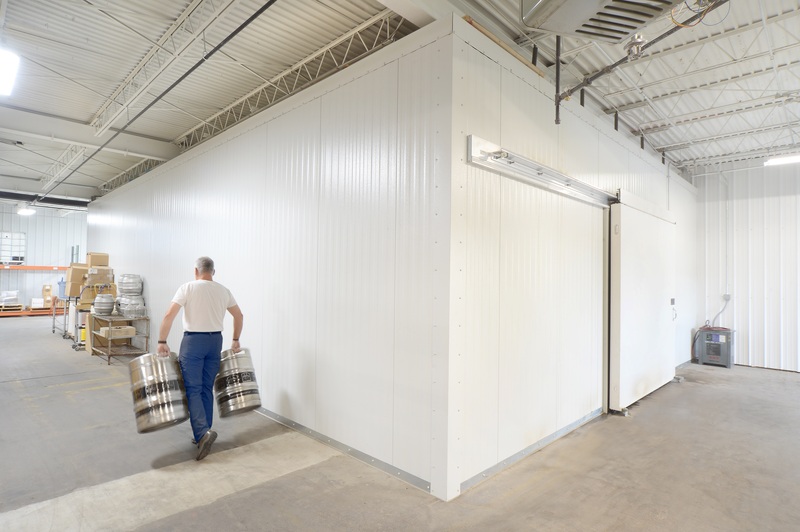 While Alpha Brewing opened the doors to its new location in March 2018, the insulated metal panel building envelope was fully installed by the prior November after approximately seven months of construction. Builder Langeneckert Homes handled the installation process from day one. “Overall we were very happy with the Metl-Span products and would recommend them for commercial applications,” says Langeneckert. Additionally, Davidson was drawn to an insulated metal panel façade because of the unique, single-source responsibility offered by Metl-Span. 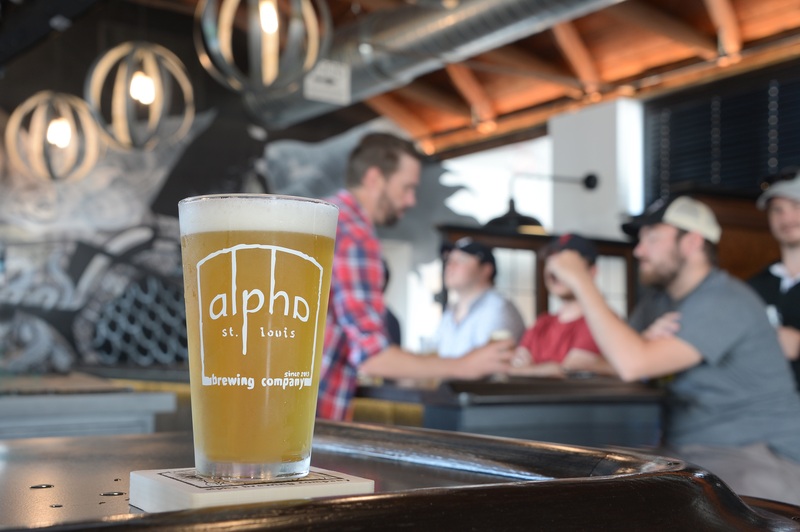 Relying on just one material provider helped to keep the Alpha Brewing project on time and budget. “That kind of coordination can lead to time, energy and cost savings throughout the construction project,” Davidson said.